You’re a bully! That’s right, I said it. It’s the sad reality. You may not have meant it, and you may not have even realized it, but that doesn’t change the facts. At some point in your life, you were probably a bully. Bullying doesn’t have to be something that is consistent. It doesn’t have to be premeditated. It doesn’t have to even have intent. It has a perception. Sadly, with the internet being at our fingertips 24/7 it’s just too easy to say the wrong thing and suddenly become a bully. Let’s say someone posts a picture of themselves on vacation. You get online and comment on the picture, “must be nice to have all that money to go on vacation”. You believe your comment to be innocent enough, but the person on vacation takes it to heart. They begin to ask themselves why would someone that’s supposed to be my friend say something hurtful to me? Have I done something wrong? It can happen that quickly. A seemingly innocent comment has now turned you into a cyberbully. When we look at the statistics of cyberbullying there is only one word that comes to mind. DISGUSTING! 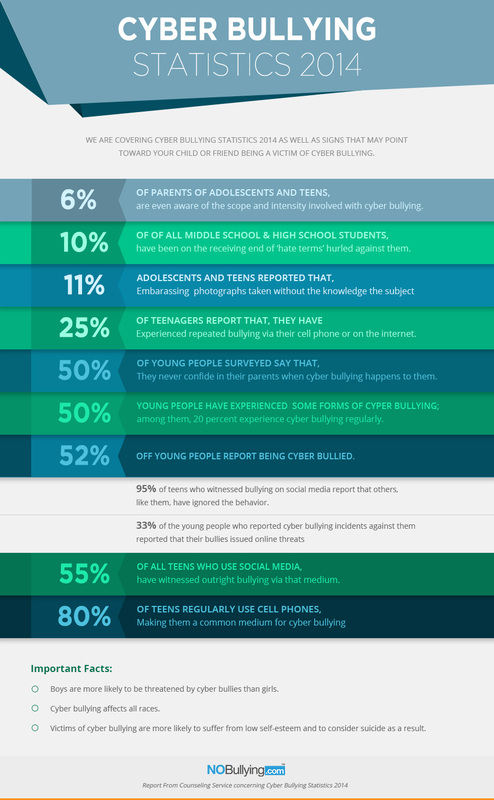 It really is disgusting that according to nobullying.com 52% of young people report being cyberbullied, and a staggering 95% of those that witness cyberbullying online simply ignore it. This unfortunate circumstance didn’t happen overnight. It’s happened over the course of many years, and will continue to grow until we can, as a collective society, step up and do what is right. 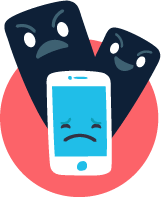 We can no longer sit by and allow cyberbullying to take place as if it is ok. I’ve pointed this out in other areas, and will continue to do so as long as it is relevant. I find it repulsive that we have a leader of our country that continues to use social media to bully others. The one positive point of this, is that it has given me endless material to discuss with my students regarding making the right decisions online. We have to look at everything that is happening in our society and realize that it is our duty as individuals to step up and speak out for others. We have to let our children know that they are not alone. We have to let everyone know that we are there to support them. Nobody is perfect, and I do not expect them to be. I do expect people to act as if they have some compassion for others. We must remember that we are all in this together, and not allow the fact that we can post online cause us to make comments that do not truly reflect who we are, and how we want to be seen. ← That was a Copyright Violation?